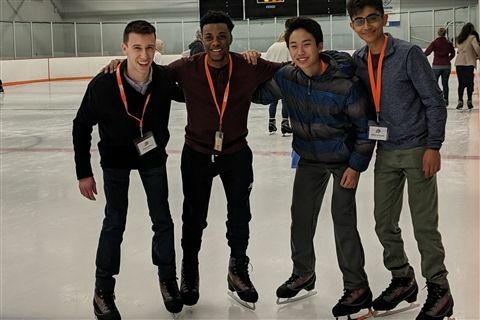 Four US boys were invited to present their science research at the Ohio Junior Science and Humanities Symposium at Bowling Green State University, where Garrett Blum ’20 won the Thomas Alva Edison Award. 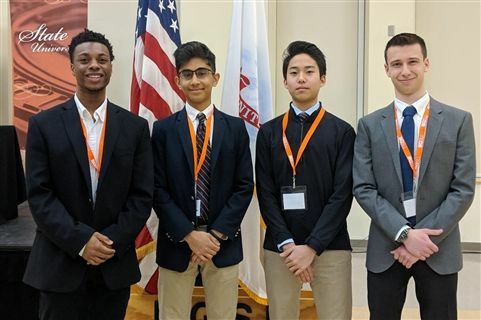 Garrett Blum ‘20, Isaiah Waiters ‘20, Jonathan Jang ‘21, and Sohum Kapadia ’21 were invited to the symposium to compete for scholarships and recognition by presenting the results of their original research efforts before a panel of judges and an audience of their peers. Garrett Blum received the Thomas Alva Edison Award, presented to the student who has independently constructed research equipment to carry out a successful research investigation. OJSHS is designed to challenge and engage high school students in science, technology, engineering or mathematics research. 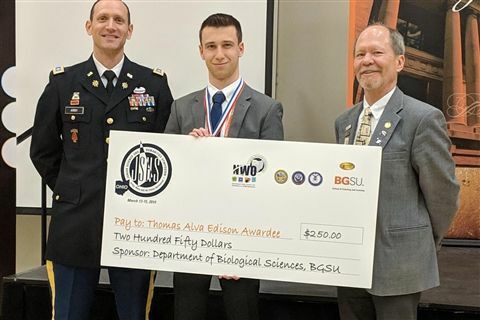 Garrett Blum received the Thomas Alva Edison Award, presented to the student who has independently constructed research equipment to carry out a successful research investigation. 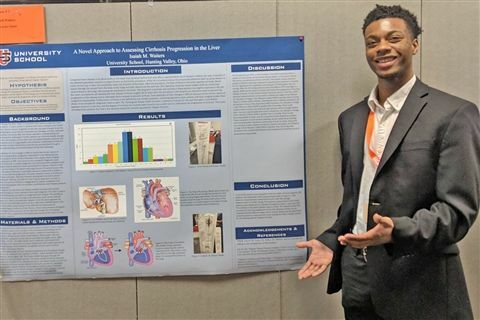 Isaiah Waiters gets ready to present his research findings. Enjoying some downtime on the BGSU ice!